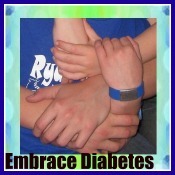 My Diabetic Child: The My Diabetic Child Great PJ World Diabetes Day Giveaway!" The My Diabetic Child Great PJ World Diabetes Day Giveaway!" 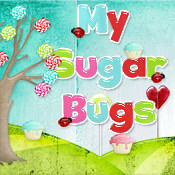 I am so excited to be participating in this weeks Super Sugar Bolus Giveaway with 12 other awesome D Mama blogging peeps. Welcome to The Great PJ Giveaway in honor of World Diabetes Day 2010! This contest comes to you courtesy of PJs for a Cure. PJs for the Cure are specially designed women's and children's pajama sets from Komar, the #1 sleepwear manufacturer in the country. Komar donates 100% of all sales of these special PJs to the Juvenile Diabetes Research Foundation (JDRF). Not 10... Not 25... Not even 50..... BUT 100%!! That's fantastic! Why in the world would a company do this? Well I am glad you asked!! You see; when the wife of Komar CEO Charles Komar was diagnosed with type 1 diabetes. Mr. Komar founded PJs for the Cure in an effort to raise $1 million for JDRF. HEY! Who wouldn't like to snuggle up in their very own set of PJs for the Cure? I would! Because there is not 1... not 2... not 3, but 13 chances for you to win a pair of these awesome PJ's. *Simply leave me a comment before tomorrow, November 13th at noon EST. Be sure to include your name or you will be disqualified. *Winners will be chosen randomly at www.random.org and announced on Sunday, November 14th. For more chances to win... remember I said there are 13. Don't forget to visit my other D mama peeps who are celebrating and holding a contest too! Komar generously donated 13 pairs of PJs for this World Diabetes Day Super Sugar Bolus! So, visit my fellow D mama bloggers listed below and increase your chances of winning! You can enter to win on all 13 blogs! But you can only win one pair of PJs. 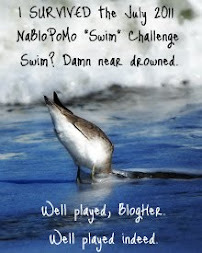 Once you win on one blog, you are disqualified from winning on another blog. We gotta be fair and spread the PJ love! 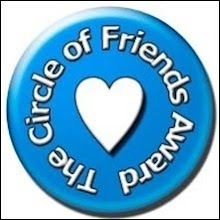 Remember, you only have until tomorrow, Saturday, November 13th at noon to enter The Great PJ World Diabetes Day Giveaway on all of these blogs. So, start clicking and commenting! We will announce one winner per hour, starting at 9 a.m. and ending at 9 p.m., on World Diabetes Day, Sunday, November 14th. And, no worries, if you don't win, you can always pop on over to PJs for the Cure and purchase a pair for yourself? It's for a good cause! Love them! This is wonderful! How super cool fun! I am headed over to the Komar site as soon as I enter on all these fabulous D-blogs. Thanks! Great giveaway - count me in! I love comfy PJ's hope we win! Also gonna check out the website, sounds like a good christmas gift for my kids! What an AWESOME giveaway!! I purchased several of these pjs last Christmas and gave them away as gifts :). Count me in please!! Awesome contest! Love the PJ's! Count me in....I would rock those Pjs! These are awesome! We'd love them for Mommy! My kids could tell you how bad I need to win this! Thanks for a chance and I look forward to reading more of your post and others. actsm AT hotmail Dot com - no spaces! wow! what a great idea! love the pj's! What a marvelous company! Never heard of them but they just helped my Christmas list out a bit! Count me in! We love these pjs! We bought them last year as Christmas gifts for our daughter and all of our family and friends. They are incredible quality and super soft! We all love them! Awesome PJs-would love to win a pair. Thanks for raising awareness!